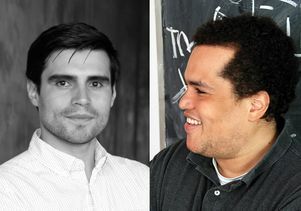 Jose Rodiguez, left, and Hosea Nelson, both assistant professors of chemistry and biochemistry at UCLA. 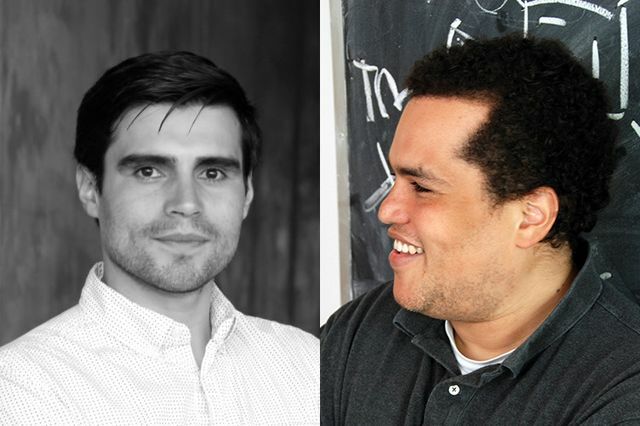 UCLA chemistry professors Hosea Nelson and Jose Rodriguez have been selected among 22 Pew scholars in the biomedical sciences for 2018. The honor provides funding to outstanding young researchers whose work is relevant to the advancement of human health. The scholars, who were selected from 184 nominations, will receive four-year, $300,000 grants to advance their explorations of biological mechanisms underpinning human health and disease. UCLA and UC San Diego each has two 2018 Pew scholars in the biomedical sciences; no other university has more than one. Nelson, an assistant professor of chemistry and biochemistry, focuses his research on the discovery of chemical reactions that will enable the efficient and environmentally benign syntheses of fuels, materials and medicines. He and his research team take an interdisciplinary approach, exploring chemical concepts that combine organic synthesis, inorganic chemistry and molecular biology. His laboratory is working to develop artificial systems that can catalyze chemical reactions in response to gene activation inside cells. His long-term goal is to design catalysts that can operate within the body to synthesize specific drugs when and where they are needed. His research group is working to produce and optimize a range of catalysts for applications in biomedical science. Applications of this technology will also include sensors and diagnostics. Nelson was awarded a 2018 Sloan Research Fellowship, was an inaugural member of Chemical and Engineering News magazine’s Talented 12 in recognition for his achievements as a graduate student, postdoctoral scholar and assistant professor. In 2017, he was among 18 outstanding young scientists in the United States to be awarded Packard Fellowships for Science and Engineering by the David and Lucile Packard Foundation. Rodriguez, an assistant professor of chemistry and biochemistry, develops and applies new scientific methods in bio-imaging to solve cellular and molecular structures and reveal undiscovered structures that influence chemistry, biology and medicine. He conducts research on the complex architecture of biological systems — from single biomolecules to cellular assemblies — at high resolution. His research combines computational, biochemical and biophysical experiments. Rodriguez’s laboratory is working to explore the structures adopted by prions — a form of infectious protein that causes neurodegenerative disorders. Prion proteins, like the amyloid proteins associated with Alzheimer’s disease, form large clumps that damage and ultimately kill neurons in the brain. It is not known what causes prions to switch from their harmless, normal form to the infectious, aggregate-forming structure. 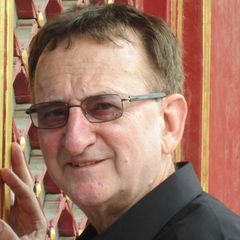 As a postdoctoral fellow, Rodriguez pioneered methods for the collection of structural data from miniscule protein “nanocrystals” — techniques his laboratory uses to determine detailed atomic structures of proteins. Combining this technique with methods in physical chemistry and molecular and computational biology, his research team will analyze the range of structures that prion proteins adopt within single assemblies. The findings could reveal the structural changes that transform prions into their toxic, infectious form, and could lead to strategies for the treatment of neurodegenerative disorders associated with the formation of amyloid aggregates. 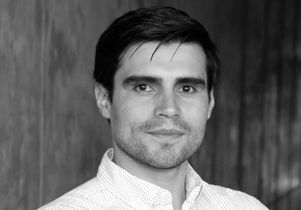 Rodriguez was recognized as a 2017 Searle Scholar, and was one of eight selected as a 2017 Beckman Young Investigator by the Arnold and Mabel Beckman Foundation. 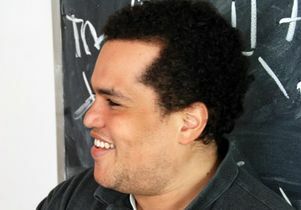 Hosea Nelson, assistant professor of chemistry and biochemistry at UCLA. Jose Rodriguez, assistant professor of chemistry at biochemistry at UCLA.